Written by an international journalist, the protagonist of this excellent novel shares the author's peripatetic occupation. Catherine "Kit" Kittredge is assigned to cover the American invasion of Iraq in 2003. There, she falls in love with her Iraqi translator, the charming Ahmed. They are wary world-wanderers, both of them raised in Europe and America, estranged from family, and highly suspicious of all instututions: religions, governments, the military. Steavenson knows these topics well and does a wonderful job of weaving in her nuanced understanding of Arabic culture, terrorism, immigration, Islamophobia, and other current issues. More than just a novel of ideas, this is also the very tender story of Kit's struggle to raise Ahmed's son, Little Ahmed, in Paris. The elusive and often-absent Ahmed isn’t terribly helpful; instead, she's aided by her ersatz family: her godfather who's an ambassador, her friend Rousse who works at Charlie Hebdo, and a photojournalist friend named Zorro. These and others enigmatic characters enliven this very rich and deeply human world. The wonderful Paris Metro will live inside me for a long time to come. From the American invasion of Iraq in 2003 to the terrorist attacks in Paris in 2015, Paris Metro is a story of East meets West. Kit, a reporter, has spent several years after 9/11 living in the Middle East, working as a correspondent for an American newspaper. Moving between war-torn Baghdad, riots in Beirut, Syria during the Arab Spring, and Greece in the midst of a refugee crisis, she befriends insurgents, fundamentalists and soldiers, diplomats, middlemen, and monks, determined to understand and tell their story. Along the way she falls in love and marries a charismatic Iraqi diplomat named Ahmed, before their separation leaves Kit raising their teenage son alone in Paris. But after the Charlie Hebdo attack occurs and, a few months later, terrorists storm the Bataclan, Kit's core beliefs are shattered. The violence she had spent years covering abroad is now on her doorstep. What is the point of truth and tolerance when everything is blowing up around you? As Kit struggles with her grief and confusion, she begins to mistrust those closest to her: her friends, her husband, even her own son. 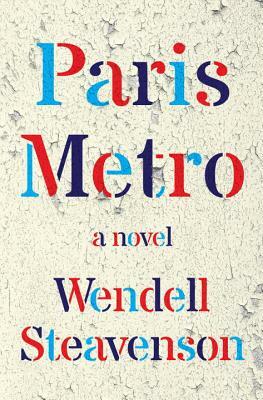 Paris Metro is a taut and propulsive story of two cultures colliding under the same roof; of love, betrayal, and misunderstandings within families; and of the universal quest to find home.